Now that the FIFA World Cup is finally here, we get the chance to marvel at the completely over-the-top gear of soccer's biggest fans. People from all over the globe have descended upon Brazil for what is perhaps the biggest sporting event in the world (dare I say, bigger than the Olympics). So when fans shell out thousands to follow their favorite team to what could be ultimate glory, they don't just show up in a jersey and wave a little flag around. Nay! These World Cup fans cover themselves in body paint and don some of the most intense costumes you can see outside of Carnival. It takes a lot to be among the most-dedicated and die-hard fans. It's not just sport, it's a religion to many of these soccer lovers. Consider the World Cup their great pilgrimage and their get-ups are the great gestures they can make to the gods of soccer. The emotional investment of these World Cup super fans is truly what sets them above the rest — above the squealing Beliebers or the Tumblr-ocity of Comic Con attendees, for the results of these games mean ultimate pride or ultimate shame for themselves, and their country. No pressure, players. 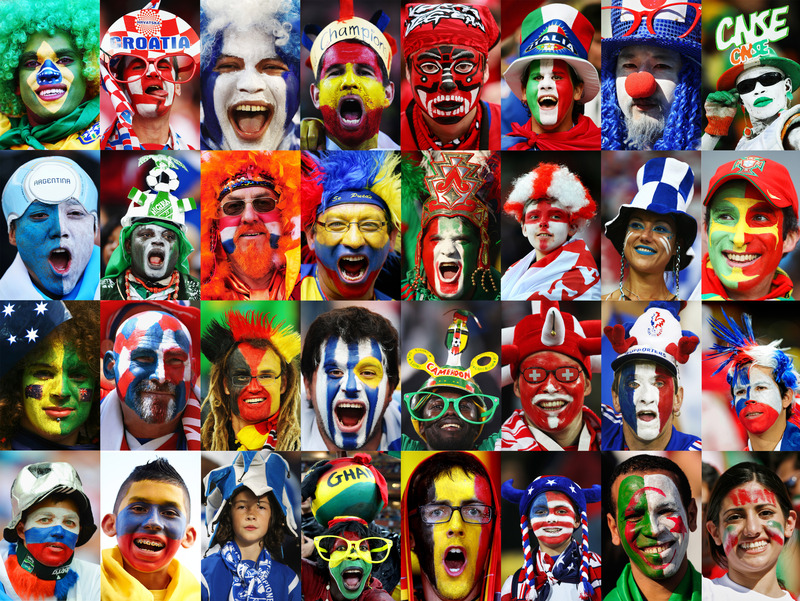 Take a look at how much more intimidating and committed World Cup fans are than every other type of fan in the world. ...This child of soccer sorcery. ...This disappointed and checkered beer guy. ...Whatever is going on here.